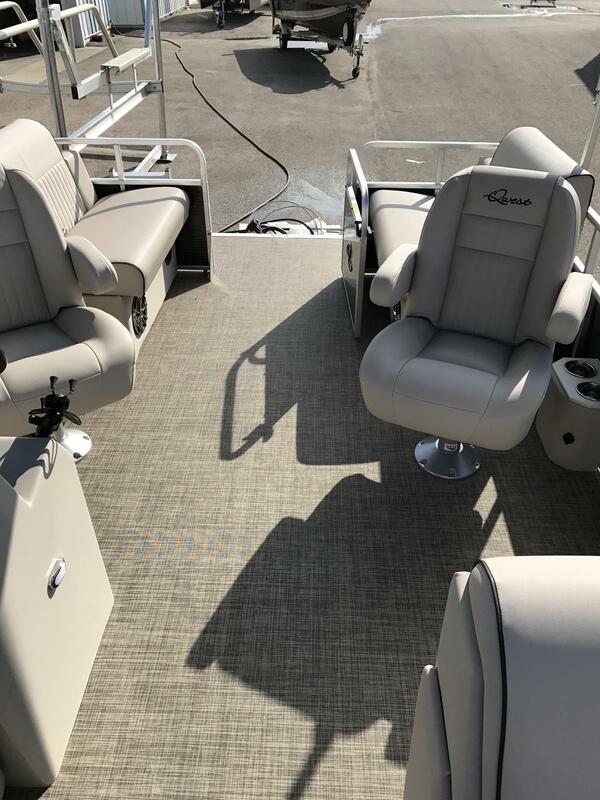 The 2018 Qwest LS 818 RLS is sure to be one of our most popular models in the Luxury Series by Apex Marine. 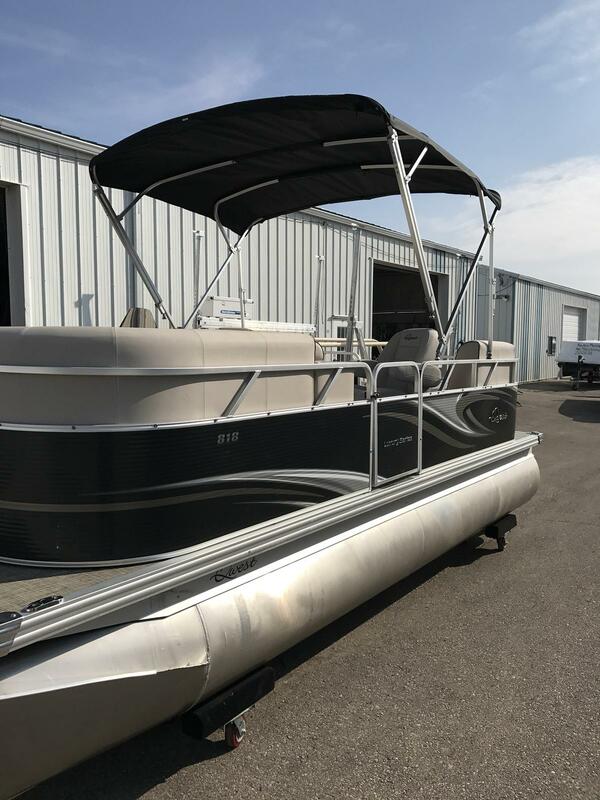 This pontoon boat comes with a 20hp 4 Stroke Mercury engine. 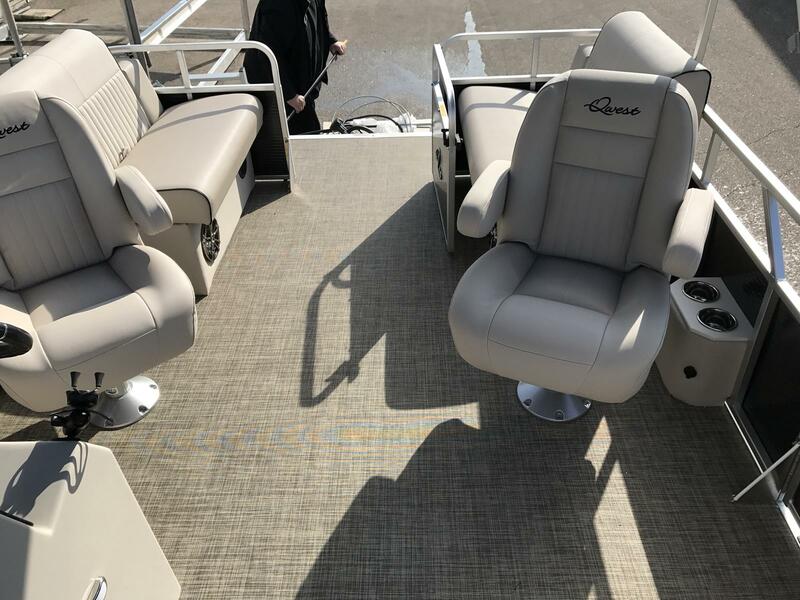 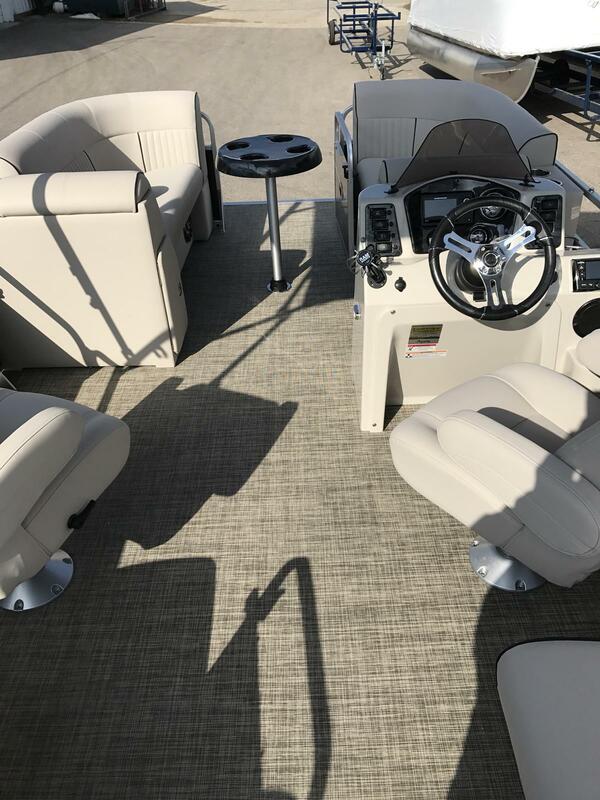 There is no shortage of amenities on this boat: It has (2) rear facing lounge seats, an Infinity stereo with Bluetooth and 4 speakers and on-board ladder. 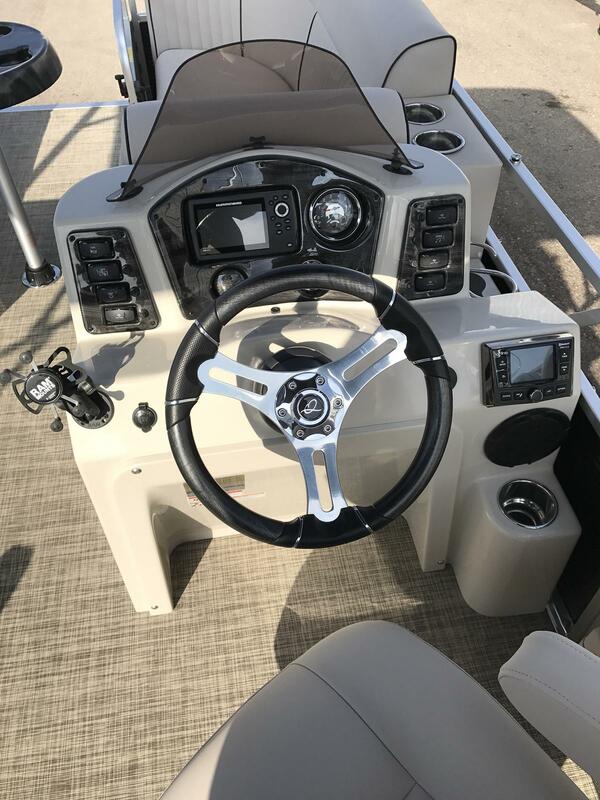 Looking to upgrade your motor? 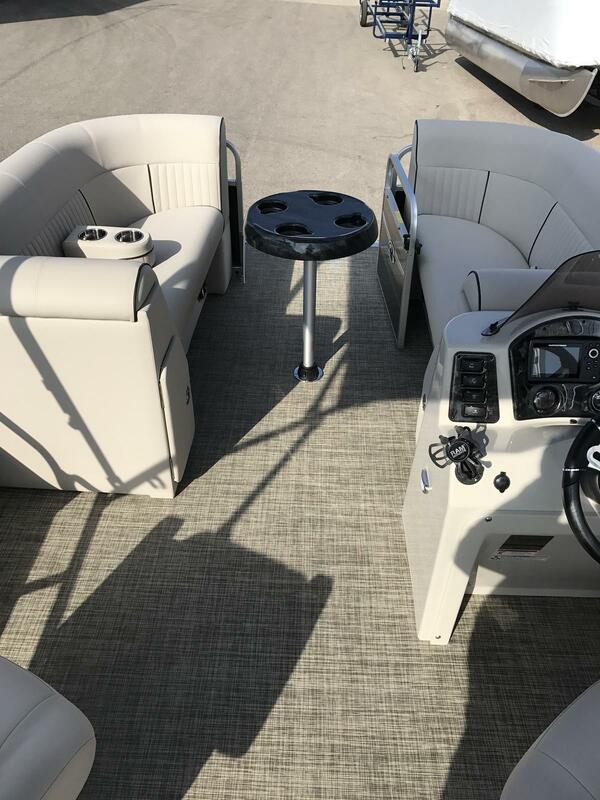 Call us for pricing.